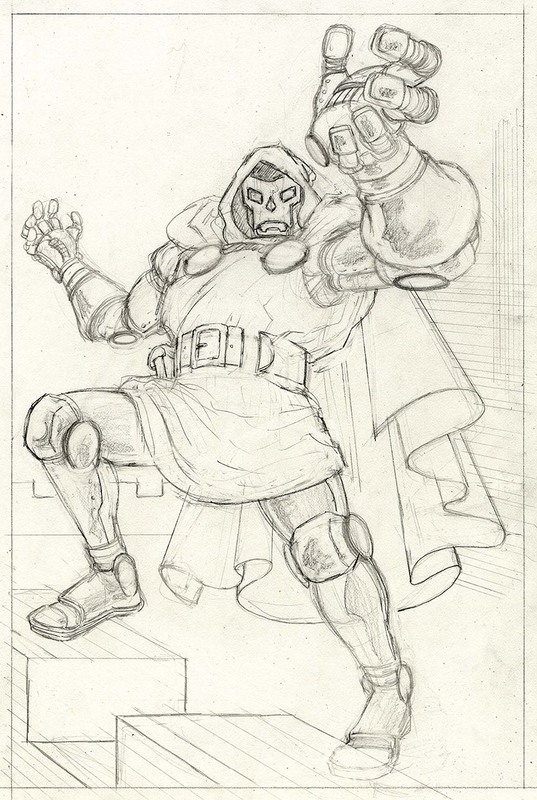 Dr. Doom was created by Jack Kirby and Stan Lee. This is yet another Kirby design that I never even attempted to draw. Not a single doodle, not a sample page, nothing. And now? 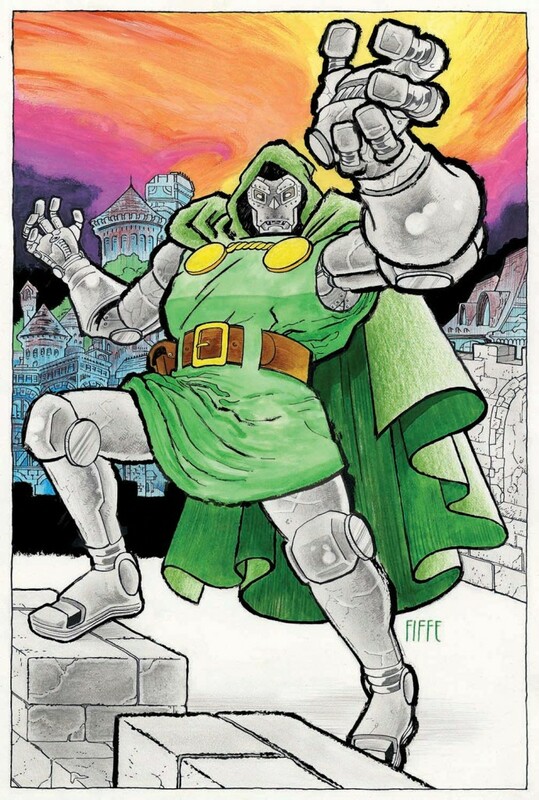 I’m afraid I have to give everything up and dedicate my life to Victor Von Doom. 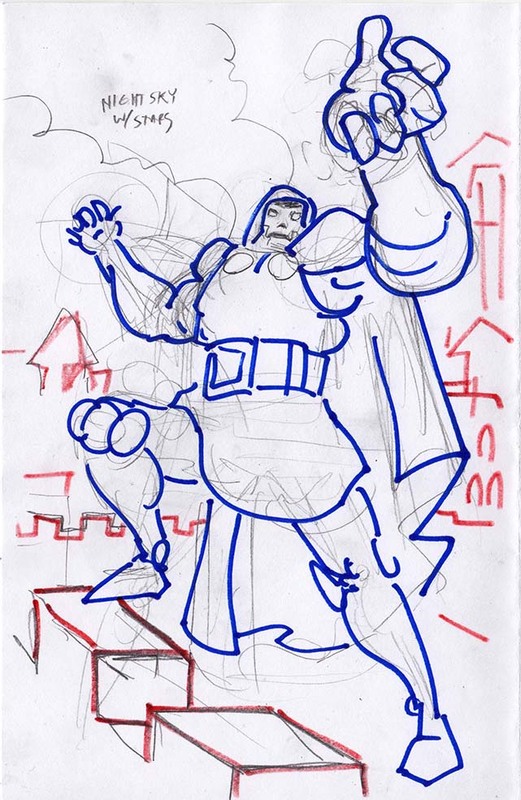 You saw that right: final, pencil, prelim. Next: 500 Doom comics.